The chance for widespread thunderstorms west of the Cascades continues to be low, but any of us near the Cascades COULD see some action the next few hours. Real busy today catching up on two weeks’ worth of emails and dealing with a weather center move/rebuild. Clearly I missed no weather in the past two weeks. But maybe some weather action this week…maybe. An upper level low develops offshore and then heads right over us Thursday and Friday. 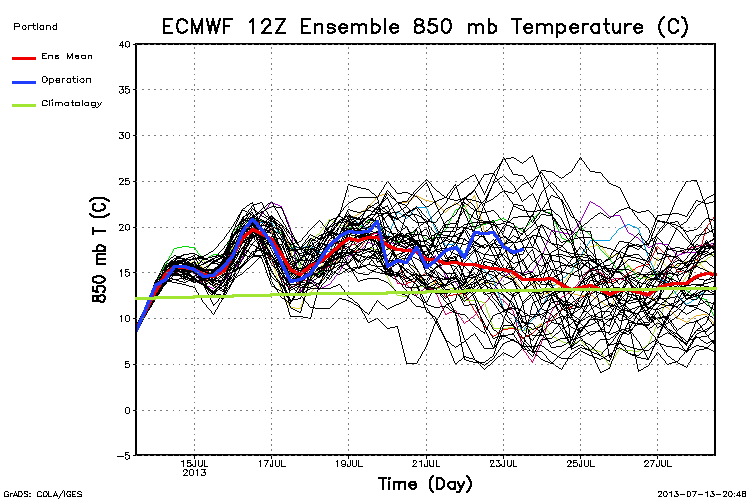 Not a real cold low, but 850mb temps around +7 or +8 are well below average for the first couple of days in August. 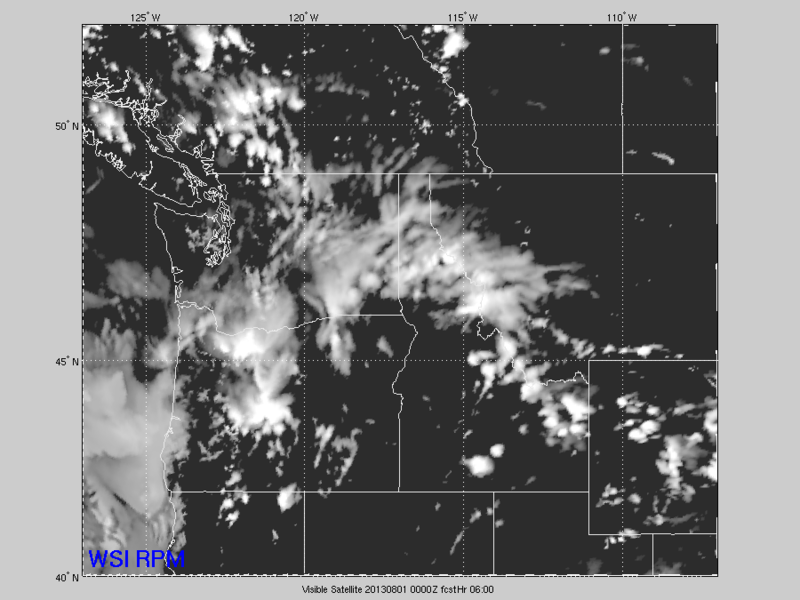 I think the best chance for any thunder west of the Cascades is probably late Wednesday through Thursday morning. MAYBE something pops up Thursday afternoon IF we don’t get a big marine push and IF the best lift has not headed north and east by that time. 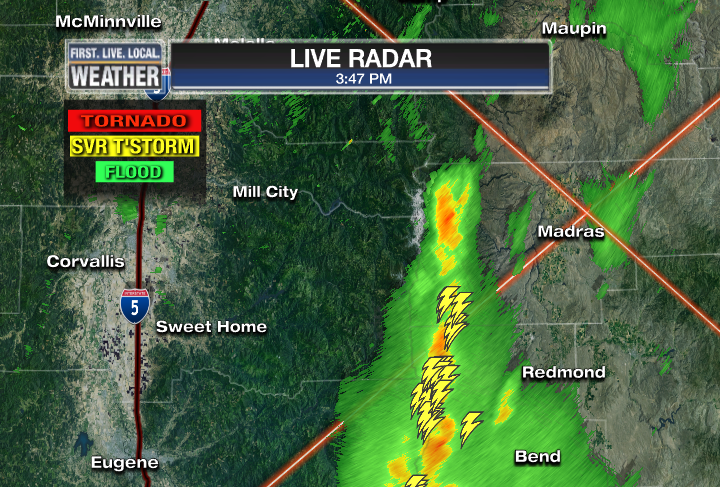 Still not the classic setup for summer thunderstorms west of the Cascades though. I’d prefer to see SE flow aloft and a marine push holding off. July has been just about perfect if you ask me…not too hot here in far NW Oregon and SW Washington, but lots of sunshine. We’ve seen just enough marine air to keep most days at/below 90 degrees here in Portland. But look how much warmer it’s been just down the Valley! Eugene has seen more than double the 90 degree days that we have. Here’s some real weather action…a great view of a tornado from inside an office building in Italy. 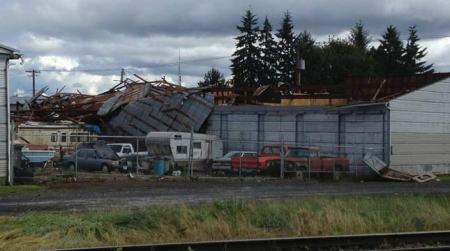 Notice there are some other tornado videos from the same area on the site. Listen to that wind scream! 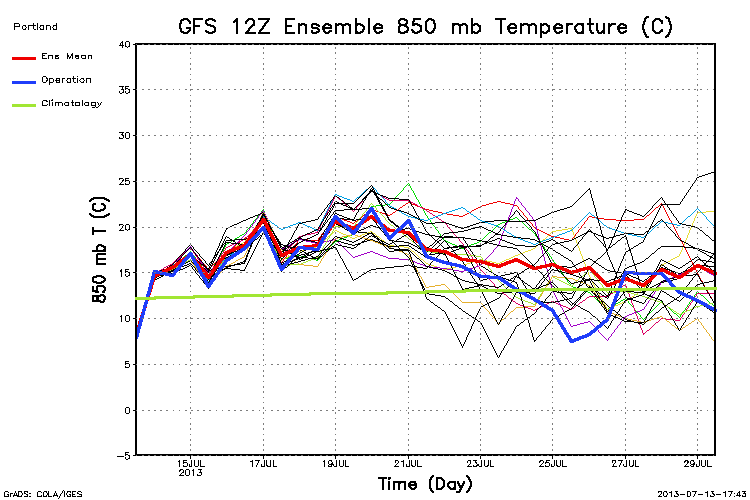 Next week looks like a return to summer with above average temps again. We’ll see if we get above 85 here in Portland, but more 90s seem likely from Salem south again. This is just to keep the comment post ability going while I am on vacation. Not that many comments show up in mid-summer! Incredibly nice, but dead weather continues. Thinner morning cloud cover the next few days means warmer, then probably cooler the 2nd half of this upcoming week. 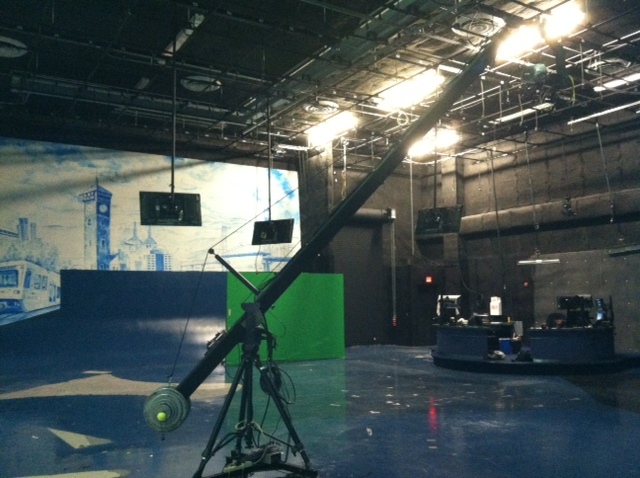 We’ll be moved onto tables for a month or so and then we should be into shiny new headquarters by late summer. Weatherwise, a bit of a change in the last 48 hours. 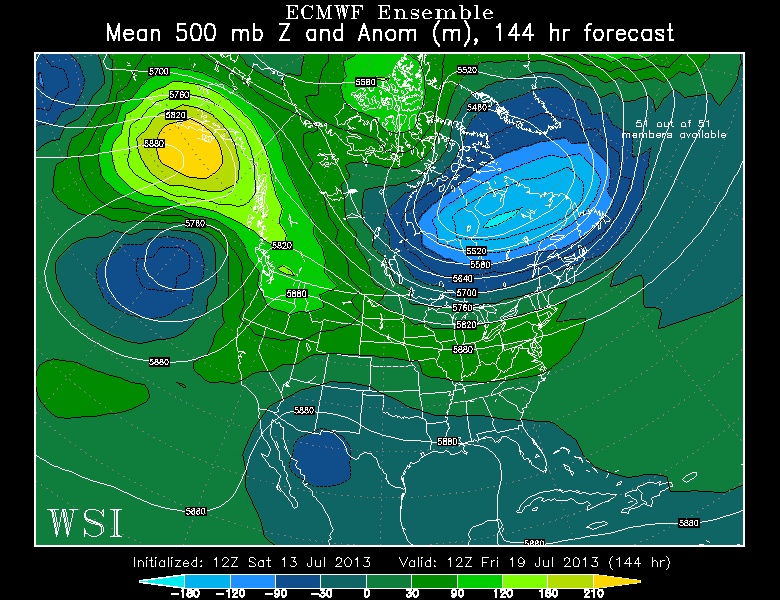 Models are again trying to build an upper level ridge much closer to the West Coast for the upcoming week. If so, we’ll be within 5 degrees of that 90 degree mark the entire week. In fact it’s interesting how little marine influence we get over the upcoming week. No low clouds even close to the Oregon coastline mean another clear and cool night tonight, then a sunny start with temps up in the lower 80s again for Sunday. Expect warming temps on Monday. Tuesday is an interesting day…a weak upper level trough offshore swings up along the Oregon Coast, then up to around Vancouver BC by early Wednesday morning. This gives us 3 weather “events”. Weak offshore flow on Tuesday…a +18 or +19 with flat or easterly gradient will push us into the lower 90s for one day. Thunderstorms may break out from northern Oregon (Tuesday evening) through western Washington (overnight into Wednesday AM). Isolated stuff, details to be ironed out later. Marine push behind the trough Tuesday night. Although not strong, it should be enough to drop temps 6-10 degrees for Wednesday. It shows an upper level high over Alaska with another upper-low out over the Eastern Pacific…a “Rex Block” sort of pattern which tends to be stable. Both show above normal temps for the next week, then cooler about 8 days from now. Other than that chance for a thundershower later Tuesday or Tuesday night, the dry spell will continue. I’ll be on vacation for the next two weeks, so no new posts until July 29th. Enjoy our fine summer weather! I just read a great post by Professor Cliff Mass up at the University of Washington. By the way, sorry, but Oregon and Oregon State have no meteorology programs, that’s why I was a Husky. Anyway, I digress. Cliff has written a post about the Weather Forecasting Improvement Act of 2013 that was just introduced in the U.S. House of Representatives. That’s computing power for various climate modeling and research projects vs. computing power (on the far right) for the day-to-day operational weather forecasting models. Stunning isn’t it? 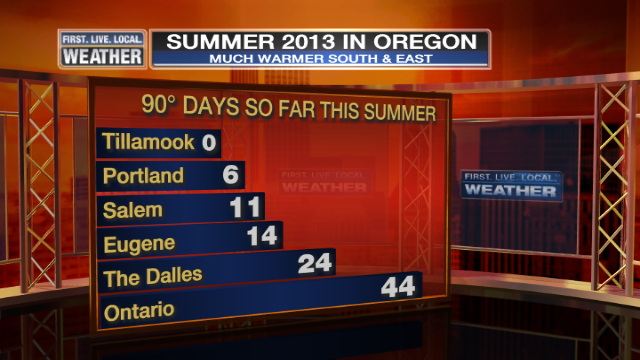 You are currently browsing the FOX 12 Weather Blog blog archives for July, 2013.